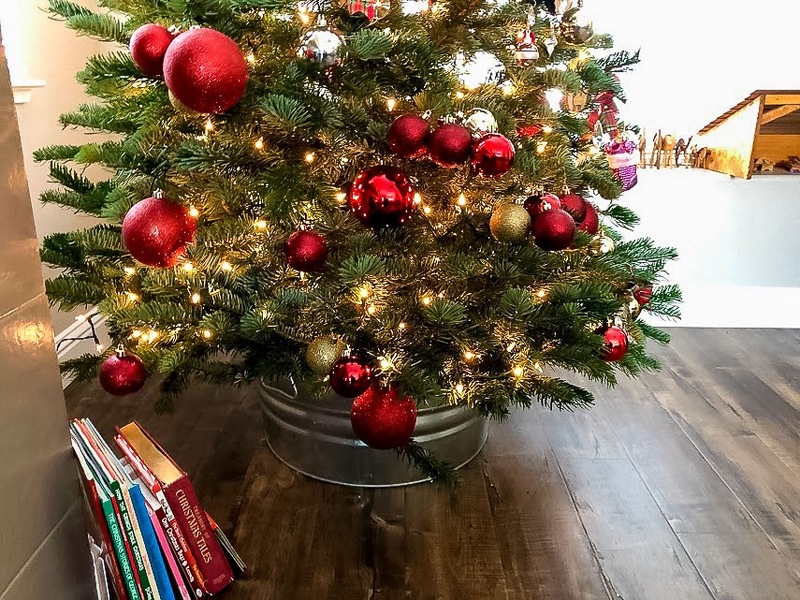 Last year's Christmas tree was on the simple and kid-friendly side of decor, and this year might even be more kid-friendly than last year. 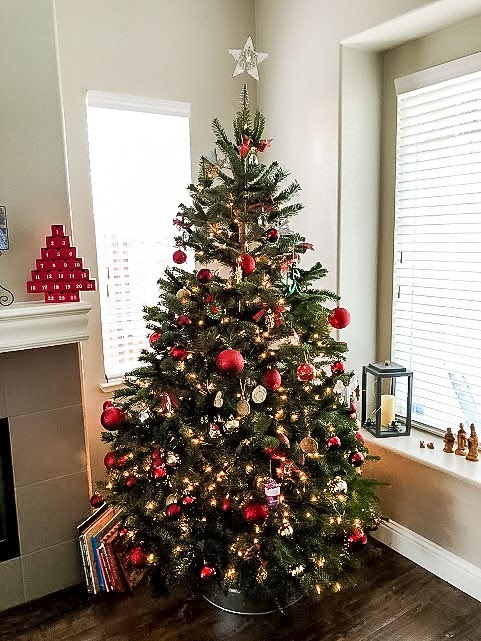 Here's a confession: I didn't actually decorate my tree. I gave up control and let the kids take over. 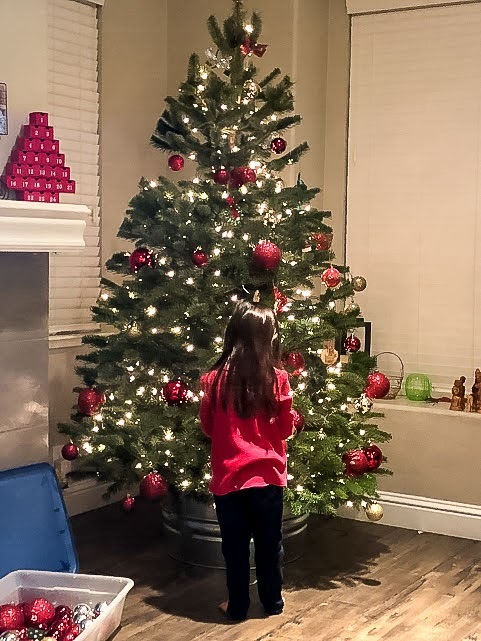 I did help with a few ornaments at the top and stringing the lights, but other than that I let them do it all. I'm not going to lie. It was SUPER hard to bite my tongue and not give suggestions on ornament placement. But the excitement in their faces, and the proud looks of accomplishment when they were finished was (and is) worth giving up "the perfect Christmas tree" for. 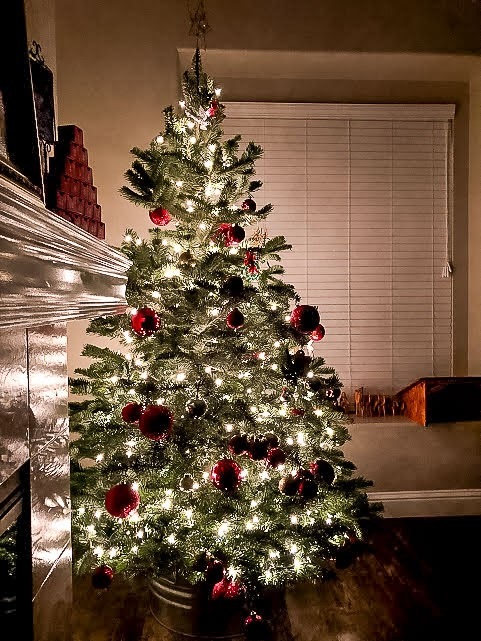 I know there will be Christmas trees to come in the future that will have the perfectly placed and coordinated ornaments and ribbon garlands. I also know there will not always be excited six and three year old kiddos busting at the seems to open the Christmas boxes and pick each ornament carefully to place on the tree. There will always be the basket of Christmas books to read, but there won't always be little people to read them to. The antique olive wood nativity figurines from my childhood might get broken, (in fact, 2 already have had to be glued back together), but to hear your kids playing with the Baby Jesus and making up silly songs for the camels and donkey to sing is...priceless. 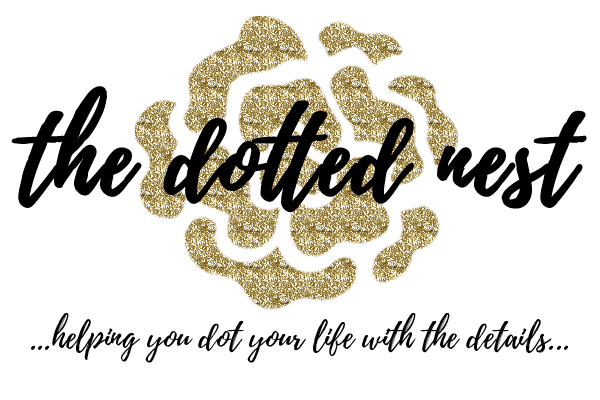 Perfection is overrated anyway - I'm learning to give up control and orchestrating all the details of the moment and to just live in it. Do I want the pretty and perfectly curated Christmas tree? Yes. Yes I do. 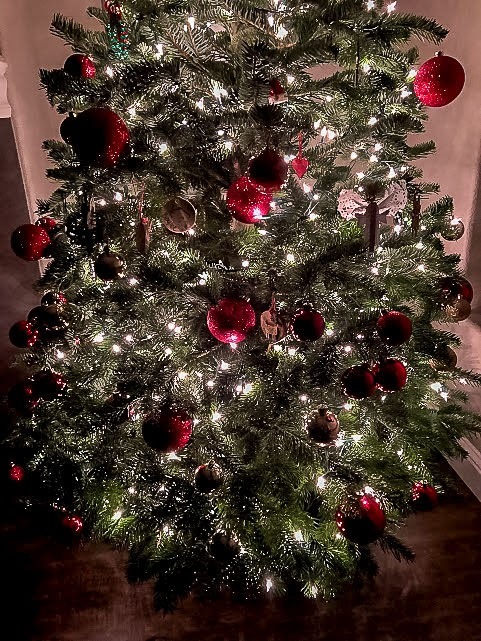 I won't lie - my OCD creative side kind of cringes a little when I walk past the tree and see the weight of the clumps of ornaments pulling the poor tree's branches down. But the urge to fluff up the tree and spread out the ornaments is quickly replaced with the memory of how my three year old's face lit up as she was happily putting those ornaments on the tree, and my six year old singing Christmas carols as she showed her little sis how to gently hang the ornaments with the little wire hooks. Those branches will just have to grin and bear the weight, because I am not touching the tree! Besides, she's still pretty gorgeous bathed in the soft warm glow of the twinkle lights. - The most important tip is: if you have kids, use the shatter-proof kid-friendly ornaments! Somehow a few breakables were put on the tree, and WOW can those things make a huge mess when they shatter on hardwood! - We always end up buying a real tree. One of these days I want a really nice fake tree, but for now the real tree tradition lives on. 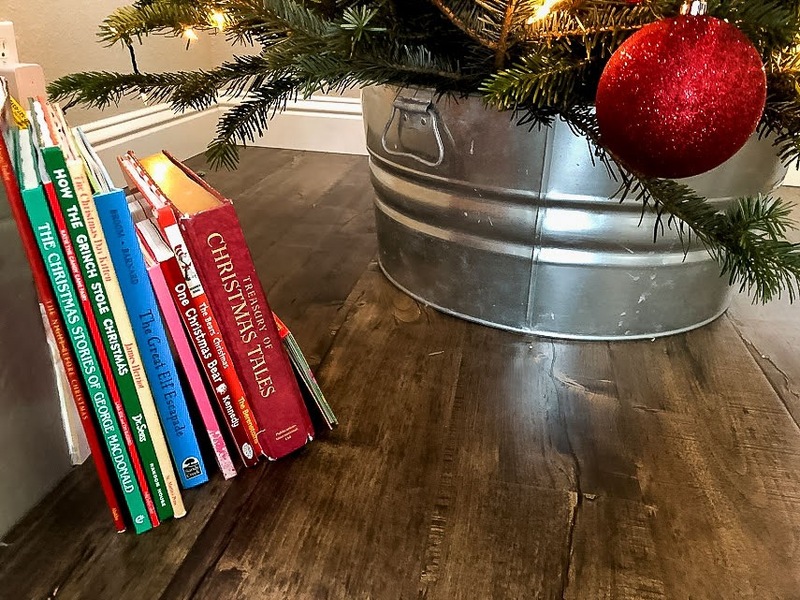 If you have hardwood floors, use a galvanized bucket to set your tree stand in. 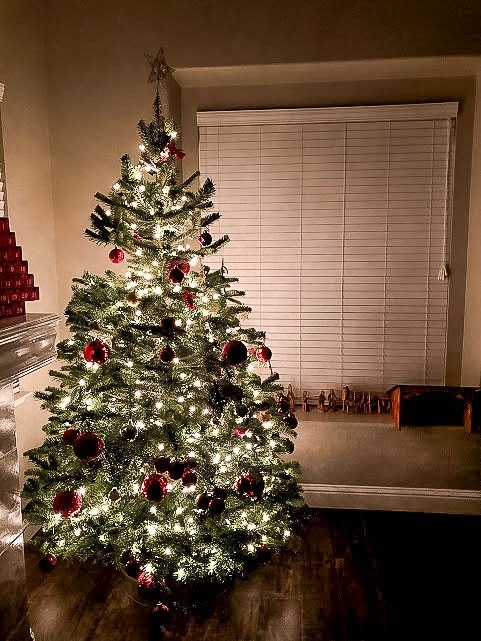 The bucket keeps any water spills off the floors, and keeps pets from getting into the tree water. 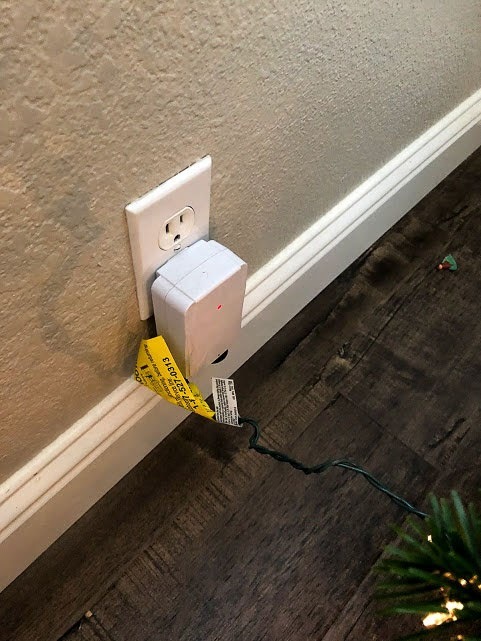 - One of my favorite Christmas "decor" purchases was a little remote plug thing for the tree lights. Do yourself a favor and just buy one. Makes it so much easier to turn the tree lights on and off! No more bending over backwards to unplug them. 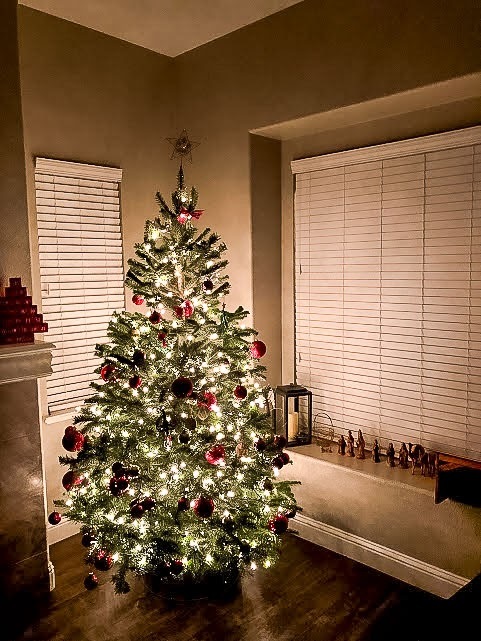 This year, our Christmas tree is perfectly simple in all of her Christmas glory. The sweet little thing doesn't have a ribbon garland or it's usual "fluffiness" and perfection that I prefer, but I think this is my very favorite tree so far. 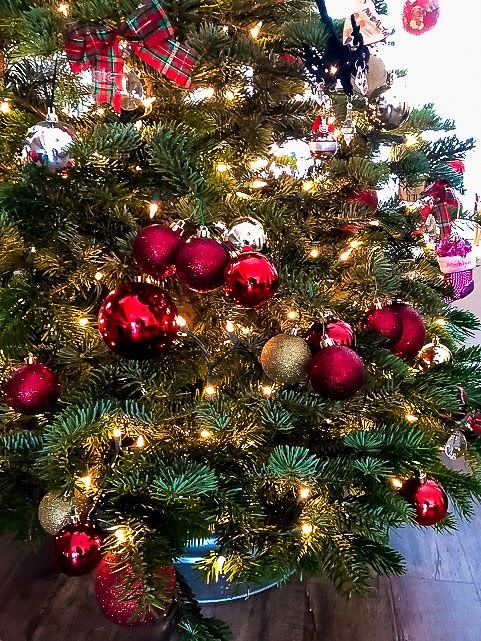 This tree is decorated with love, hope, thankfulness, and sweet memories. And now for PARTY time! 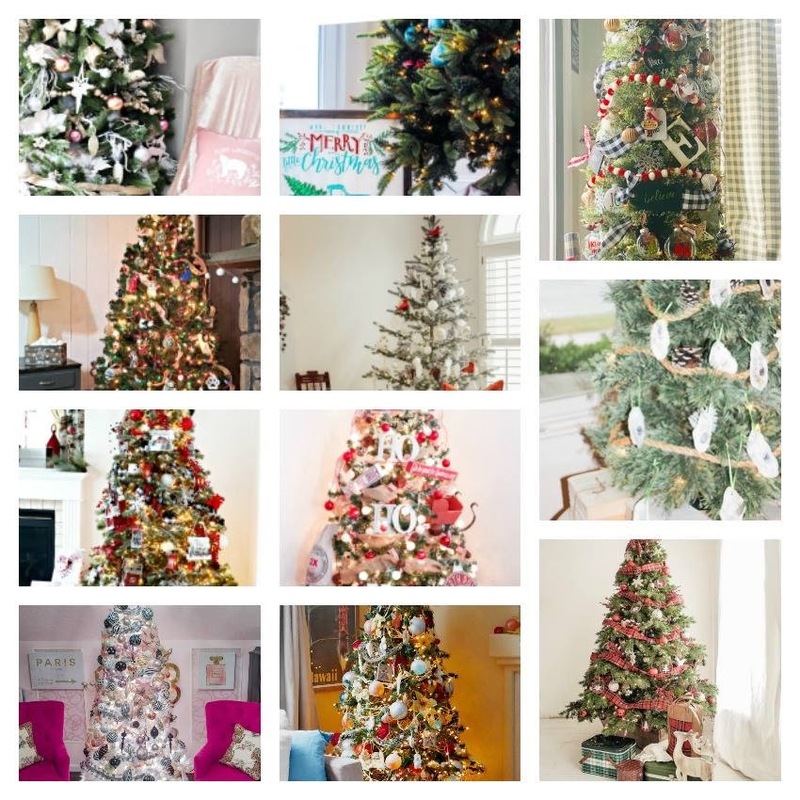 Welcome back to the 2nd annual Christmas Tree Decor Blog Hop! 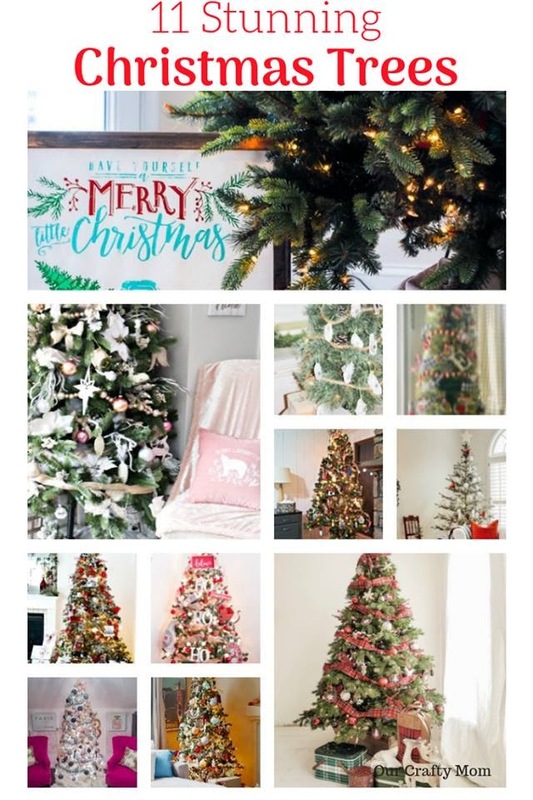 If you'd like some gorgeous Christmas Tree inspiration, make sure to visit the fun Christmas Tree Decor blog hop below! Don't forget to P I N I T !